Our company provides engineering and consulting services for Authorization, and Certification of products, for the protection the Environment and the Health & Safety to Companies, Associations, Organizations and Public services in Greece, EU and worldwide since 2009. Special services are provided also for extractive and metallurgical industries. 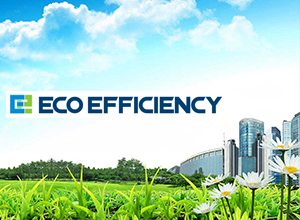 Eco-Efficiency Ltd combines the technical and scientific know-how with the expertise of the regulatory framework of the EU. Our basic philosophy is to offer integrated management services, beyond the traditional approaches, competitively priced goods that satisfy customer and at the same time improve quality and reduce the environmental and social impact of goods and resource uses.